The Strømer, is an interactive LED display wall that weaves a wonderful mixture of art, energy-efficiency and play into the fabric of daily existence. 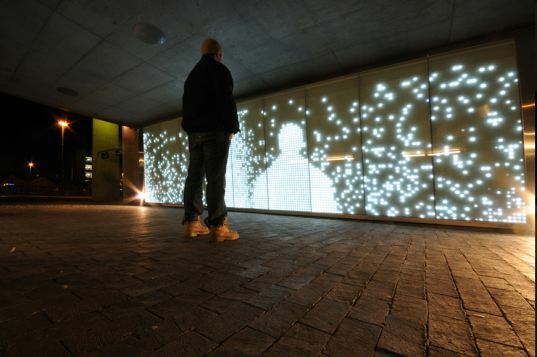 It is 27m2 of interactive LEDs provide light for each person passing by. Click to see it in action on video!